Do you feel anxious, angry, irritable, impatient, bloated, fat and short tempered? It could be too much estrogen! In the later years, during perimenopause it is really too much estrogen in relation to progesterone. Perimenopause,, which usually starts in the mid 40’s, but can start as early as in the mid to late 30’s, is also associated with the symptoms of too much estrogen even though estrogen levels are normal or low. 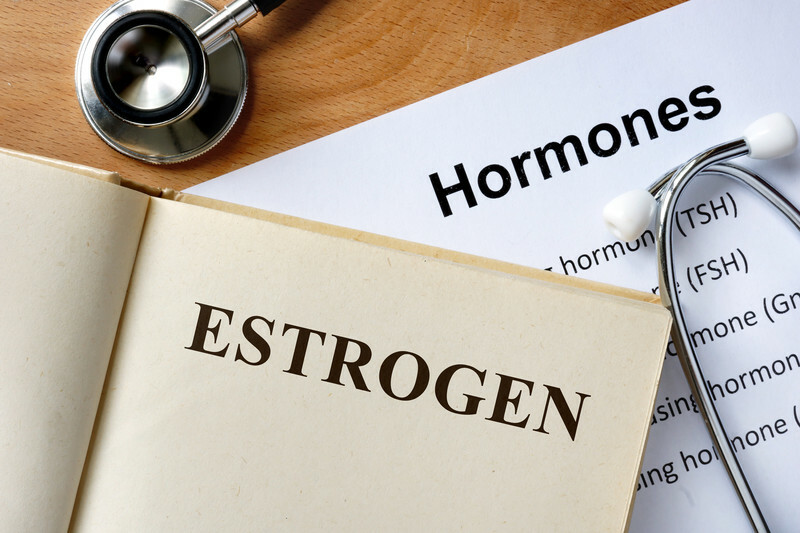 There may be the right amount of estrogen, however if you don’t have enough progesterone to counteract the effects, you may experience the symptoms of too much estrogen. There are many environmental substances that act like estrogen and stimulate estrogen receptors. Your body thinks it is estrogen and responds as if exposed to too much estrogen. Avoiding these so called xenoestrogens can bring your hormones in balance and relieve the symptoms. Avoid BPA’s by not heating in plastic and eating out of cans. Choose hormone free, antibiotic free meat, dairy and poultry since they are given hormones to fatten them up and you will ingest what they have. Eat organic as much as possible. Herbicides and pesticides can act like estrogen. Since it may not be possible to eat everything organic, check the Environmental Working Group at ewg.org to learn which produce has the most amount of pesticides and eat those organic. These are called the dirty dozen. Avoid hormone disruptors in personal care products that contain parabens, phthalates, sodium laurel sulfate and other chemicals. A list of safe products is also on the Environmental working group website. Eat lots of soluble fiber found in berries, apples, pears, gluten free oat bran, beans and ground flax meal. This fiber helps to eliminate excess estrogen. When it comes to hormones, every hormone has a counter hormone and progesterone counter balances estrogen. Progesterone makes you calm, relaxed, releases fluid retention and prevents excess growth of the breasts, the uterine lining and ovarian cysts. When all of the diet and lifestyle factors don’t relive the symptoms of too much estrogen, consider hormone replacement therapy with progesterone by a functional and anti aging medical doctor. Hormone Therapy for Menopause: Are You a Candidate?